You eat the right foods, drink the right drinks, and exercise regularly. In other words, you’re strong and healthy. There is only one hole in your overall good health. You’re as flexible as a piece of plywood. But there’s good news! You don’t have to stay inflexible your entire life. With the right steps, you can improve your flexibility, which will make life that much better. Ready to get started building a more flexible you? Here’s how. For many years, it was common practice to stretch before working out. In recent years, folks have ditched that advice for something better: lightly performing whatever you plan to do. Going to run? Walk and then jog before getting into a run. For those who want to take their routines to the stretchy limit, it’s time to use a foam roller. With a foam roller, you work to gently stretch your muscles before working them out, and better yet, you stretch them out safely. Essentially a massage for your muscles, foam rolling helps your muscles relax and stretch. 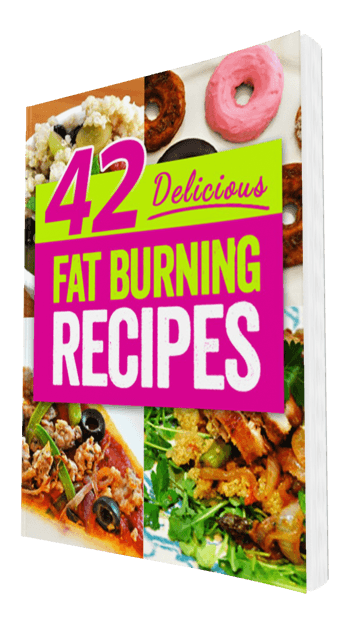 This, in turn, allows your entire muscle to be worked out in the gym afterward and prevents an already tight muscle from growing tighter through your exercise routine. Once you knock out a little foam rolling, the time is right for a round of body-weight exercises or light activity before going full force. As you exercise, you can help your flexibility by working throughout your entire range of motion. Initially, you may have a harder time squatting your full range of motion, but sticking with it will allow your muscles to work all the way and will lead to their being more flexible. To get to where you can squat or perform other exercises as deep as your body allows, you will probably want to reduce the amount of weight you use. As your body grows accustomed to going through a fuller range of motion, you can increase the weight and enjoy improved flexibility. Your routine winds down, and your muscles feel tight and want to stay that way. Folks who are new to working out often enjoy the feeling. It lets them know their body has worked hard, and so they allow the tightness to remain as they leave the gym and return to their daily routines. However, this is when your stretches become most important. By taking 10 minutes to slowly stretch, you can take a huge step toward your overall flexibility. A good post-workout stretch will focus on the areas worked during your routine, but will provide a little stretching for the entire body. You can also finish your stretching with more foam rolling if you have time, as this will help further your flexibility goals. When stretching for increased flexibility, it may be tempting to push it as far as you can. But don’t give in. Instead, you should relax and take the slow and easy-going path to flexibility. Going too far too fast will actually have the opposite result that you want, as your body will have to repair itself from small injuries that occur from stretching and won’t want to stretch further in the future. Instead, take your time and allow your body to ease into stretches. Feel an uncomfortable burning sensation that actually hurts? That is not your body’s way of thanking you. Back off and stretch to the point of slight discomfort. Accept that you can’t increase your flexibility overnight, and you will make better headway than beating your muscles into flexible submission. Call or email me today to start on a challenging and consistent exercise plan to increase flexibility as well as reduce your body fat and increase your energy levels. Let’s do this! Regular exercise makes it easier to eat healthy. Just as healthy eating makes you more likely to exercise. It’s the domino effect. When you begin to make a positive change in one area of your life other areas will soon follow. Remember, while nutrition is vitally important for weight loss, true results are achieved through a combination of both nutrition and challenging, progressive exercise. Would you like to get that domino effect started in your life? Call or email today for a fitness program that will quickly transform your body. You’ve probably heard of quinoa—it is hailed as a super food. It’s high in protein (12%-18%) and contains a balanced set of essential amino acids — this means it’s a surprisingly complete protein. It’s also high in fiber and iron. Quinoa is quite possibly the perfect thing to have for breakfast to start your day off on the right foot. 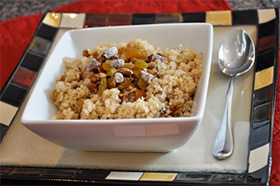 Top cooked quinoa with raisins, date pieces, pecan pieces, cinnamon, nutmeg and a drizzle of maple syrup.